I recently had a WONDERFUL shoot with a good friend. The concept was “Tribal Shaman” but ended up way more awesome than I ever had anticipated. 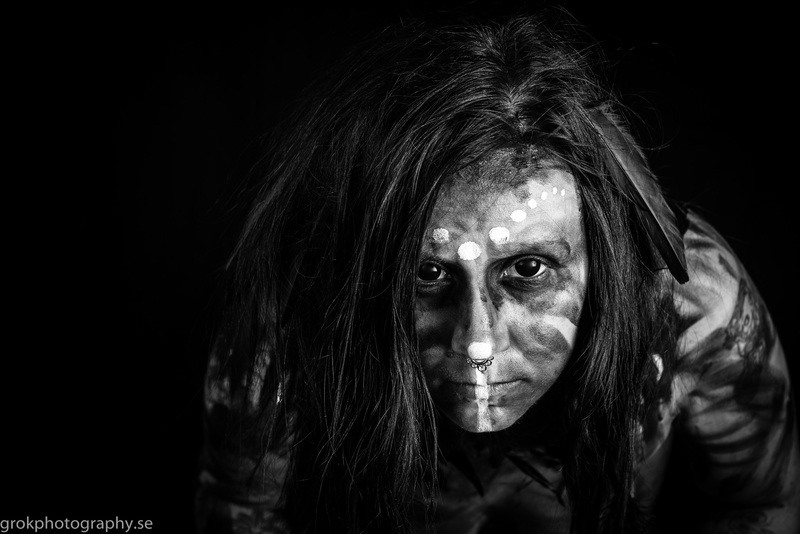 Basically a lot of fun with some black (and white) bodypaint, black feathers, contact lenses. Add to this a very beautiful and talented model (Lea) and a skilled and enthusiastic photographer (myself) and the end result turned out amazing! This is my first published foray into art-nudes territory, and I know that both me and Lea are very proud of it. Most important: we had tons of fun! 99 images and I’ve selected my personal favorites to post here. Some (that aren’t as revealing) have already been published on my Facebook-page. I decided to publish these photos on a separate page. I’m not bothered or offended by the naked body myself, but apparently there are other people out there who are squeamish about such things. Go there for the full experience. Keep it classy, keep it tasteful.